2X SACD DSD (NEW) MAHLER MIHOKO FUJIMURA. Format : 1 SACD DSD in jewel case. SYMPHONY #3. PERRY/BALTSA/COLE/DAM/KARAJAN/BP - SINFONIE 9 CD NEU. Symphony No.9 In D Minor, Op.125 - "Choral" / 4. - "O Freunde Nicht Diese Töne" Janet Perry 18:13. 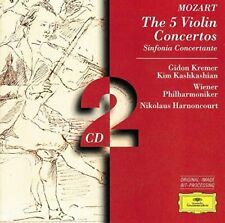 Hier folgende CD / Here following CD Presto Berliner Philharmoniker 6:07. 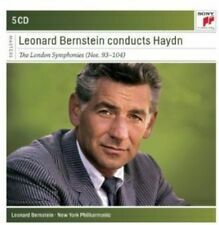 Beethoven : Symphonie n° 9 - Karajan Gold - A2-D1GX-15KA. NEUF - CD Beethoven : Symphonie n° 9 - Karajan Gold - Ludwig van Beethoven,Herbe NEUF - CD Beethoven : Symphonie n° 9 - Karajan Gold - Ludwig van Beethoven,Herbert von Karajan,Janet Perry,Jose Van Dam,Agnes Baltsa,Vinson ColeDate de sortie 6 octobre 2017Format CDNombre de disques 1. Format: SACD. Release Date (Date de sortie): 30 Aug 2011 (30 aout 2011). Kindertotenlieder: Nun will die Sonn' so hell aufgehn - G. Mahler. Kindertotenlieder: Wenn dein Mutterlein - G. Mahler. Kindertotenlieder: Oft denk'ich, sie sind nur ausgegangen - G. Mahler. Kindertotenlieder: In diesem Wetter - G. Mahler. Format : CD. CD : VG /VG : Très bon état / Very good condition. Légères et superficielles micro-rayures, quasi invisibles à la lumière naturelle, qui n ’ affectent pas la qualité de l ’ écoute qui reste parfaite. CD BEETHOVEN "SYMPHONY NO 9 CHORAL". Neuf et scellé. TITRE : SYMPHONY NO 9 CHORAL. AUTEUR : BEETHOVEN. FORMAT : CD. Tous nos envois sont recommandés et ont un numéro de suivi. Envoi recommandé ANGLETERRE 5,95EUR (MAX. ). Release Date (Date de sortie): 19 Feb 2013 (19 fevrier 2013). Format: CD. Orchestre/Ensemble : Orchestre philharmonique de Berlin, < span class = « notranslate » > Singverein de Vienne. Chef d'orchestre: HERBERT VON KARAJAN. Symphonie no 9 en D mineur, opus 125 « Chorale »par LUDWIG VAN BEETHOVEN. Hier folgende CD / Here following CD Má Vlast (My Country) - 4. Má Vlast (My Country) - 2. 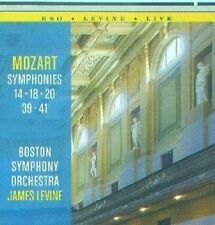 Vltava (The Moldau) Boston Symphony Orchestra 11:56. Symphony No.9 in E minor, Op.95 "From the New World" - 4. HERBERT KEGEL - SINFONIE. Hier folgende CD / Here following CD Stürmisch bewegt. BERLINER PHILHARMONIKER - Symphony No. 9~1. Andante comodo 25:51. BERLINER PHILHARMONIKER - Symphony No. 9~2. Im Tempo eines gemächlichen Länders. Etwas täppisch und sehr derb 14:55. BERLINER PHILHARMONIKER - Symphony No. 9~3. Eigenschaften Digipak. Format Album. / BB´S 4-30 CD = 8 ?. First Essay For Orchestra, Op. 12. Second Essay For Orchestra, Op. 17. Adagio for Strings (from String Quartet, op. 11). Overture to `The School for Scandal', op. 5. Release Date (Date de sortie): 13 Oct 1992 (13 octobre 1992). Artist : GOL. Composer : Ludwig van Beethoven. By (author) : Ludwig van Beethoven. 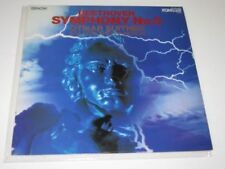 BERANOVA/PAASIKIVI/SMITH/MUELLER-BRACHMANN - Symphony No. 9 in D minor, Op. 125~1. Allegro ma non troppo, un poco maestoso 13:31. Artist : BESO. Composer : Johannes Brahms. Artist : Peter Rösel. Artist : H. ZECHLIN. Artist : BSO. Artist : Günther Herbig. Symphonic Etudes ("Etudes in the form of variations") for piano (2 versions), Op. 13~Etude 6: Presto possibile 2:35. Label Decca. Genre Klassik. Offrir plus de titres. Artist : Herbert von Karajan. Composer : Johannes Brahms. Composer : Robert Schumann. KARAJAN/BPH - Symphony No. 1 in C minor, Op. 68~Un poco sostenuto. Allegro. KARAJAN/BPH - Symphony No. 1 in C minor, Op. 68~Andante sostenuto. KUBELIK RAFAEL - Vltava (The Moldau) 12:05. Artist : BP. KUBELIK RAFAEL - Symphony No. 9 in E minor, Op. 95 "From the New World"~1. Adagio - Allegro molto 9:30. KUBELIK RAFAEL - Symphony No. 9 in E minor, Op. 95 "From the New World"~2. ZINMAN DAVID - School for Scandal, overture for orchestra, Op. 5 8:21. ZINMAN DAVID - Adagio for strings (or string quartet; arr. from 2nd mvt. of String Quartet), Op. 11 8:46. ZINMAN DAVID - Essay for orchestra, Op. 12 8:10. Authors: Baltimore Symphony Orchestra & David Zinman. Barber: Adagio; Symphony No.1 etc. Title: Barber: Adagio; Symphony No.1 etc. Weight: 113 Gms. Publish Date: 24/03/2011. Artist : Dam. Composer : Ludwig van Beethoven. Artist : Berlin Philharmonic Orchestra. Artist : BPH. Artist : Herbert von Karajan. Artist : BP. Artist : Baltsa. Artist : Cole. Composer : Gustav Mahler. Liste de titres CD - 1. Genre: Sinfon. Durée: 115:11. Artist : RNO. PLETNEV MIKHAIL - Symphony No. 9 in D minor, Op. 125 'Choral'~1. Allegro ma non troppo, un poco maestoso 14:24. PLETNEV MIKHAIL - Symphony No. 9 in D minor, Op. 125 'Choral'~2. Molto vivace 12:24. Herbert Von Karajan - Beethoven - Symphony No.9 ?". Cho Nouveau CD. Artist Herbert Von Karajan. Title Ludwig Van Beethoven-Beethoven: "Choral" Symphony (2015). Release Year 2015. Record Label Warner Classics. 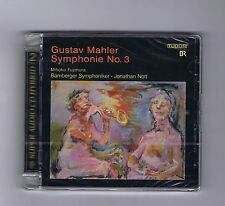 Title Gustav Mahler-Mahler 9 (2013). Release Year 2013. Record Label Deutsche Grammophon. Titre: Symphonie No. 9. Format: CD. Condition: Neuf. Allegro Ma Non Troppo, Un Poco Maestoso 1-2 2. Molto vivace 1-3 3. Adagio molto e cantabile 1-4 4. Presto 1-5 O Freunde, Nicht Diese Tone! List des chansons. Titre: Gustav Mahler: Symphonie No. 3. Condition: Neuf. Information manquante?. 1-1 Kraftig. Sehr Massig 2-2 Comodo. Ohne Hast 2-3 Sehr Langsam. Durchaus Ppp 2-4 Lustig Im Tempo Und Keck Im Ausdruck 2-5 Langsam. Titre: Dvorák: Symphony No. 9, 'New World'. Format: CD. Condition: Neuf. 1-1 Adagio - Allegro Molto 1-2 Largo 1-3 Scherzo (Molto Vivace) 1-4 Allegro Con Fuoco 1-5 Vltava 1-6 Z Ceskych Luhu a Haju. List des chansons. Titre: Symphony No. 1 in D Major (Dresdner Phil.). Format: CD. Condition: Neuf. Sous Genre: Orchestral. Genre: Classical. Date de production: 2008-05-27. Nombre de disques: 1. 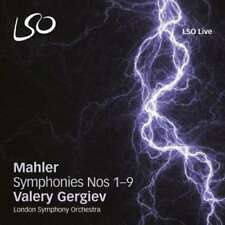 Titre: Gustav Mahler: Symphony No. 9. Format: CD. Condition: Neuf. 1-1 Andante Comodo 1-2 Im Tempo Eines Gemächlichen Ländler. Etwas Täppisch Und Sehr Derb - Poco Più Mosso Subito - Ländler, Ganz Langsam 1-3 Rondo. Titre: Symphony No. 7 (Rogner, Rsob). Format: CD. Condition: Neuf. Sous Genre: Orchestral. Genre: Classical. Date de production: 2006-11-13. Nombre de disques: 1.